This book is not a synopsis of the Abhidhamma which, in itself, comprises seven volumes of the Pali Canon. 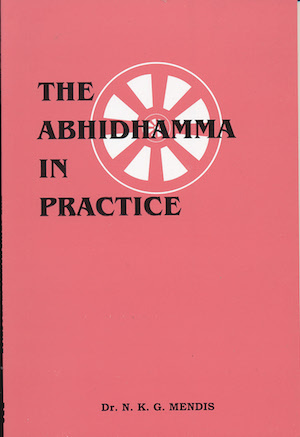 Here, some aspects of the Abhidhamma have been related to practice. If this little book helps the reader to appreciate that the teachings of the Enlightened One are never mere theories but always stand to reason and can be verified in the crucible of his or her experience, then its purpose will have been served.